We understand that no one calls a locksmith because they want to, people call a locksmith because they have a problem and need a fast, professional, cost-effective solution. 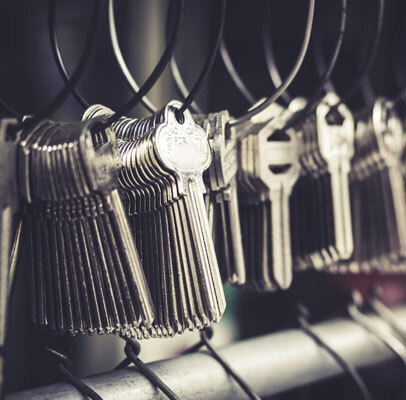 When you have a lock or key problem in Allentown, whether it’s an emergency or something you can schedule for a later day, we will accommodate you. We pride ourselves on being able to provide the best possible solution. You bring us your lock or key problem, and we will present you with all available options to resolve your concern in as timely and cost-effective manner as possible. We will be there fast, with no additional cost for emergency services! 95 percent of our customers have their locksmith problem resolved on the same day they call for our locksmith services. You can expect a locksmith to arrive within 20 to 30 minutes, bringing all the tools and equipment necessary to replace or repair your locks or keys. Allentown is a historic town with a long history, it is not uncommon for our locksmiths to encounter locks that are 40+ years old, and we want to make sure no matter the age or sophistication of your locks, our locksmiths will be able to bring a swift solution to your lock and key problem. We are constantly improving our techniques and customer service to guarantee our customers the best possible experience. If you have a lock or key problem in Allentown, we can help. We offer services for auto locksmith, key extraction, auto or home lockout, ignition repair, key replacement, and so much more! 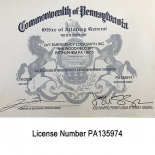 Contact 24/7 Emergency Locksmith for any and all of your locksmith needs in Allentown and read on to learn more about our individual services. Whether your car key has been lost, broken, or left in your locked car, you can trust that 24/7 Emergency Locksmith will be there to get you a new key and get you back on your way! At 24/7 Emergency Locksmith, we provide a wide variety of residential locksmith services to meet all of your needs. From lockouts to key extraction and rekeys, we have the skills to help when you need us most. Our professional Commercial Locksmith Services provide what you need to keep your business safe. From lock outs and rekeys to new lock installation, our team will be there to help you. Our registered locksmiths are available 24 hours a day to help you when you are locked out of your car, home, or commercial building. We will be onsite as quickly as possible, so call now. Your vehicle is important in your daily life. It gets you from point A to point B quickly, efficiently, and safely. Many of us rely on our vehicle throughout the day to help us get to work on time, run errands, pick up the kids, bring them to the endless amount of activities, the list goes on and on. The truth is, many of us do not realize how much we rely on our vehicle until something goes wrong. A lost car key, getting locked out of your car, a broken key, or even a broken lock can throw our entire day off. Luckily, 24/7 Emergency Locksmith is here to help with any of your automotive locksmith needs in Allentown. We can be there in a jiffy and have you in your car and on your way before you know it! What kind of automotive locksmith services do we offer, let’s take a closer look! When your car key breaks off inside the lock or ignition, it can delay your entire day, but when you contact 24/7 Emergency Locksmith, you can get your problem fixed in no time. We will extract the broken key and make you a replacement key, allowing you to get back on the road. Call us at (484) 891-1922 to get a car key replaced in Allentown. This is one of the most common automotive locksmith services we see! 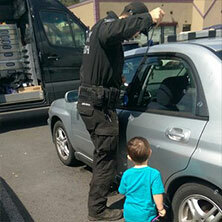 If you get locked out of your vehicle in Allentown, we can help you get back into your car and on your way. It is easy to shut the door behind you with your keys still inside, but when this happens don’t try getting in yourself! You may cause more harm than good. Just contact our locksmith experts and we can unlock your car and get you on the road in a matter of minutes. Our locksmith experts can help with more than your lock and key needs! 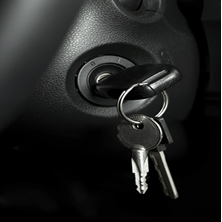 If you vehicle ignition is busted, the key won’t turn smoothly, or something seems wrong, we can help. Contact us if you ever need ignition repair services in Allentown. If you ever notice that your locks are not working properly, you will want to contact 24/7 Emergency Locksmith. Locks may feel sticky, need some key wiggling to get unlocked, or may just wear out from old age. If your car is not unlocking properly, we can repair the locks for you! Not only do we provide locksmith services for your car in Allentown, but we also provide locksmith services for your motorcycle! We can replace motorcycle keys in a hurry and help you get back on the open road. Contact us to learn more about our motorcycle locksmith services. Your home’s locks and keys are what help keep you safe and secure and give you a sense of protection. You probably lock up your home before leaving for the day or before hitting the hay. It is a habit that allows you to feel safe. But what happens when your locks or keys suddenly stop working as they should? What happens when you lose your key or it gets stolen? Your sense of security and safety suddenly goes out the window. At 24/7 Emergency Locksmith, we want to restore that sense of safety and make your home secure again. That is why we provide a variety of residential locksmith services for your Allentown home! Learn more about these services below. 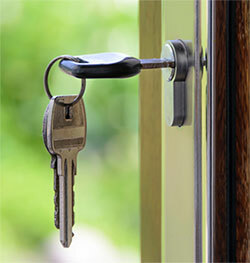 Your locks and keys go through normal wear and tear. It is possible for your key to break off inside the lock of your home, leaving you stuck on the outside. Our locksmith experts can extract the broken key and get you back inside with a new key in no time! Don’t try to fix this issue yourself, you may just make it worse. Trying any of the above could result in an injury or more damage to your home. Let us help you instead! We will provide you with unlock services quickly and efficiently. If your home needs a new lock, our locksmith experts can help! There are many reasons to get a new lock, whether your keys have become stolen, your locks are old and dingy, or you just want some added security. We can install new locks on your Allentown home in no time and provide you with new keys for your new locks! Contact us to learn more. There are some instances when a new lock install is not needed and all that needs to be done is a lock repair! Some locks may be newer but not functioning properly, this could need a simple repair job to get them working again! We can get your locks repaired in no time and give you a renewed sense of security in your Allentown home. Contact us to learn more! 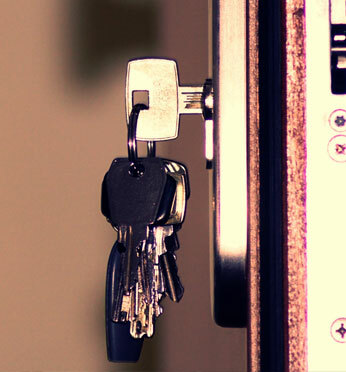 At 24/7 Emergency Locksmith, we can provide your Allentown home with master keying services. This can allow you to have access to certain parts of your home or property that you may not want others having access too. If you have a workshop you don’t want you kids in or an office that you want to keep locked, but you don’t want to carry around a bunch of keys, master keying can be the perfect solution! This is also a great option if you have a few rental properties. If you are interested in master keying, contact our locksmith experts today! Our Residential Locksmith Services Can Help! If you own a commercial space or a business in Allentown, you know that keeping that space safe and protected is important. Lock and key issues can cause problems in your business and need to be taken care of right away. That is why 24/7 Emergency Locksmith offers commercial locksmith services in Allentown and can provide those services quickly and efficiently. You can learn more about our commercial locksmith services below! Access control can help keep your business safe and secure, allowing only your employees to have access to your building or commercial space. 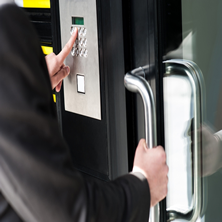 Adding access control to your business can allow you to control who can access the building, during what times, and can help keep track of who is coming in and out and when. Our locksmith experts can add access control to your commercial space today; contact us to learn more! If the key you use to open the doors of your business breaks off in the lock, it can cause some serious issues. Not only will your business be affected, but so will the security of your Allentown commercial space. Contact 24/7 Emergency Locksmith to get your key extracted now! Getting locked out of your business can cause everything to come to a halt. Whether you lose your keys, leave your keys inside, or forget them at home, you will want to get into your commercial space as quickly as possible. Our locksmith experts can get you in quickly and help you get back to business. Contact us to learn more. If you have recently moved into a new office, your building has been broken into, a key has been stolen, you want to update your security, or your locks are simply old, a commercial lock install can help! Get new locks and keep your commercial space safe and secure. Call (610) 451-8797 and our locksmith experts can help! As your business or commercial space ages, you may notice that your locks do not work as well as they once did. A lock repair can help fix issues that do not require a lock replacement. If you need a lock repair for your Allentown commercial space, contact our locksmith experts. A master key system is a great option for your business. This allows you to give you managers or leaders a key to access certain areas of the building without giving them full access. If you want to give some of your employees access, but not full access, a master key system is a perfect solution! Lock rekeying can take the inner working of your commercial space’s lock and change it to work with a different key. This allows you to update security without replacing your entire lock. There are a few reasons why you may consider rekeying your locks, learn more and contact us today! 24/7 Emergency Locksmith provides emergency locksmith services to the Allentown area. We know that sometimes you need your car unlocked or a new key made in a hurry, that is why we work hard to provide the fastest and best emergency locksmith services for you! There are many reasons why you may need emergency locksmith services in Allentown. Certain situations call for someone to be there to help right away and when you contact our emergency locksmith experts, you can expect us to get there as soon as possible and help you with any of your lock and key problems. Whether you accidentally locked your baby in the car, locked yourself out of your home with the food on the stove, or need the locks on your commercial space rekeyed right away, we can be there to help! Our emergency services allow you to get the help you need quickly and efficiently. If you need emergency locksmith services in Allentown, do not hesitate to call us at (610) 451-8797. At 24/7 Emergency Locksmith, we provide the locksmith services you need for your car, home, or business in the Allentown area. 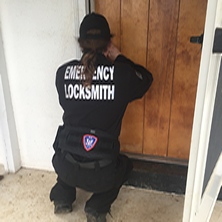 Whether it is an issue that doesn’t need to be solved right away or it is an emergency locksmith problem, we will be happy to help you get out of this situation and back to your daily routine! Contact us to learn more or if you ever need locksmith help in Allentown.